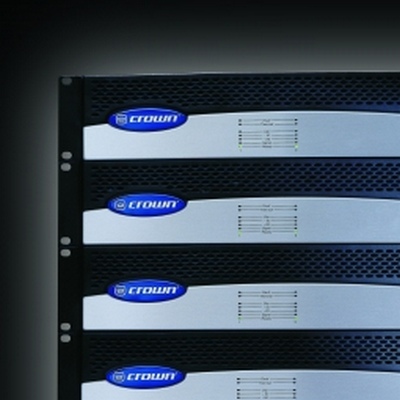 Crown International has grown to become one of the world's largest and most respected manufacturers of power amplifiers and microphones for professional audio markets. 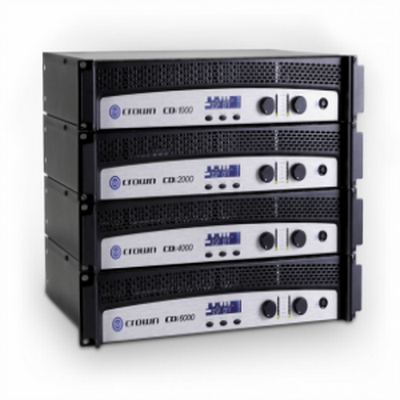 The CDi 1000 from Crown Audio is a rugged, lightweight amplifier designed for installed audio applications. CDi stands for "Contractor Digital Intelligence". The CDi 1000 provides accurate, uncolored sound with low distortion for excellent music and vocal reproduction. 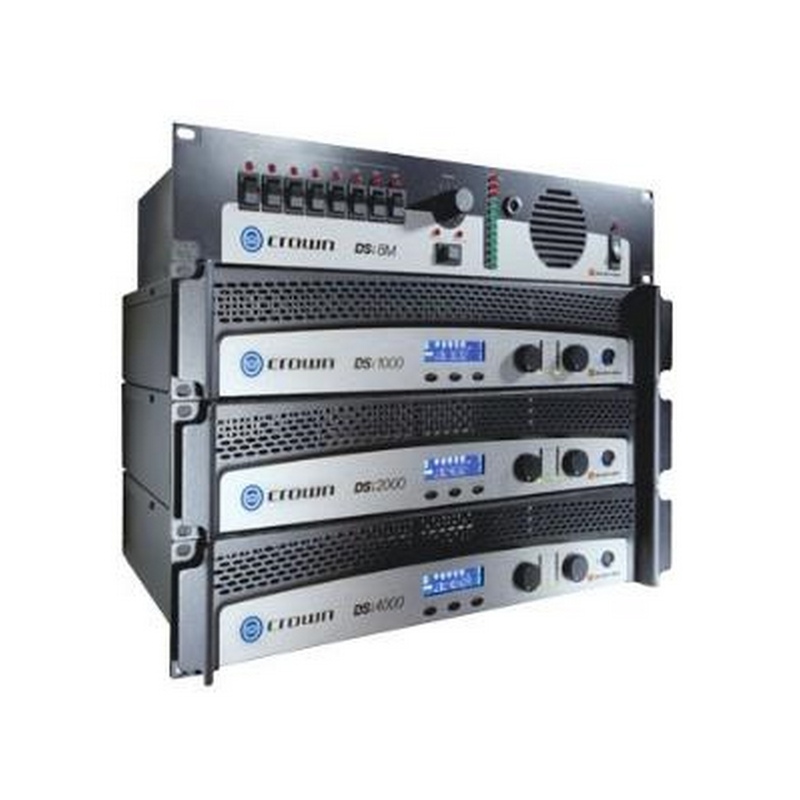 It also handles a wide range of speaker impedances and outputs, making it very versatile. Advanced protection circuitry guards against shorted outputs, open circuits, DC, mismatched loads, general overheating, high-frequency overloads and internal faults. The CDi 1000 also has integrated DSP presets for crossover frequencies, EQ, limiting, compression, delay, and a subharmonic synthesizer. A backlit LCD displays relevant information. 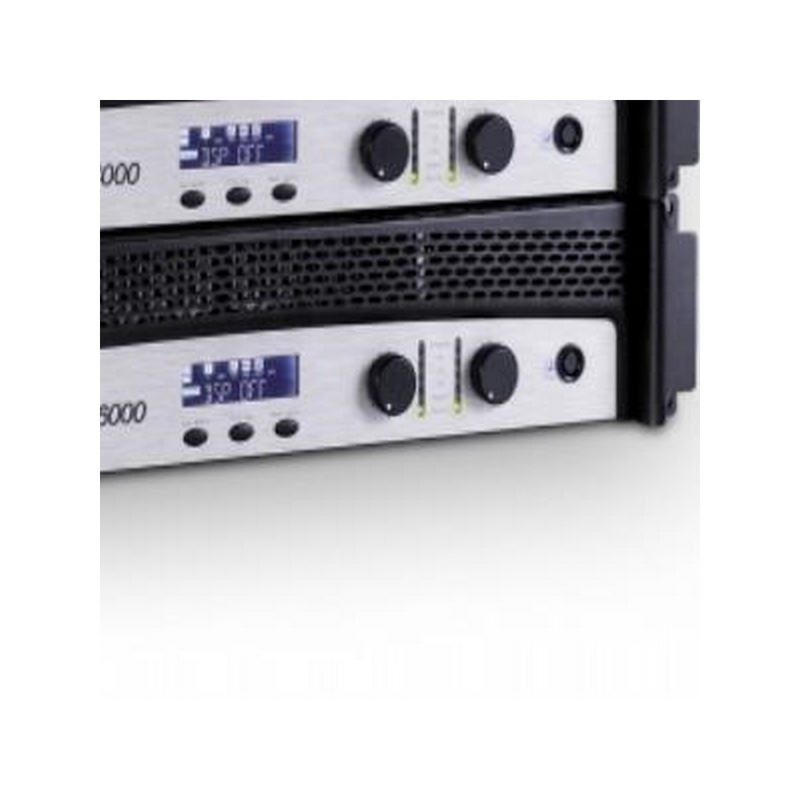 The DSi-1000 2-Channel Amplifier from Crown Audio offers outstanding quality and performance in a rack-mountable steel design, ideal for cinema use. The amplifier has presets for industry-standard JBL loudspeaker systems, which are set up quickly and easily thanks to an intuitive backlit LCD. A USB connection allows you to connect to a computer to configure HiQnet System Architect software. Onboard digital signal processing includes crossovers, EQ filters, delay, and output limiting. 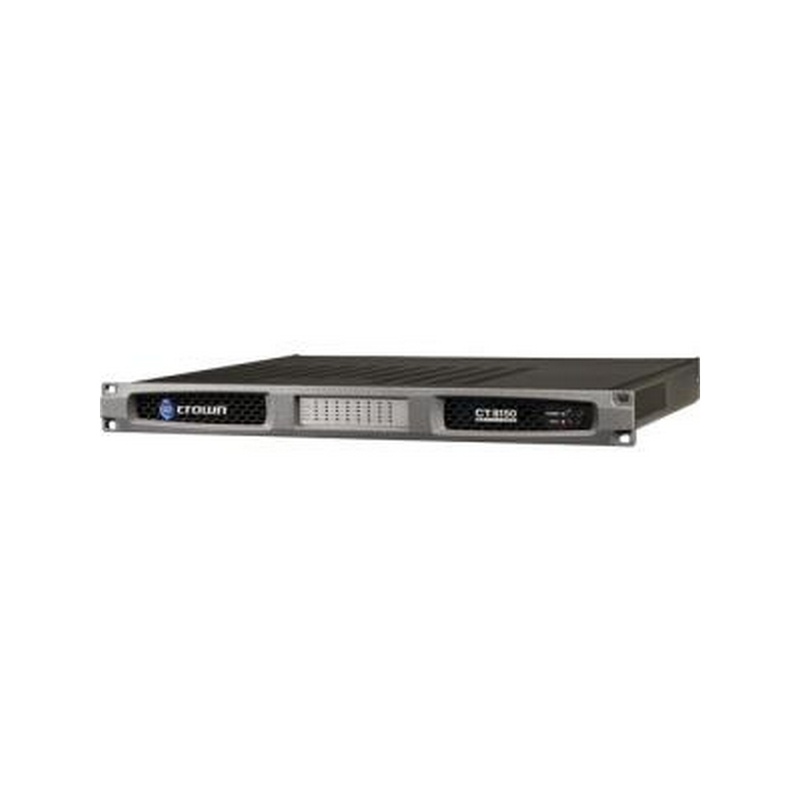 A rear-panel HD-15 connector provides connectivity between DSi amplifiers and the DSi-8M System Monitor. 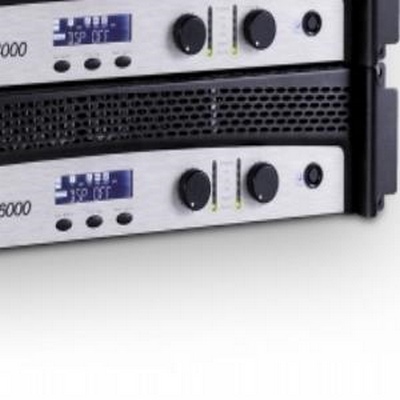 The switch-mode universal power supply gives the DSi-1000 terrific power flexibility. 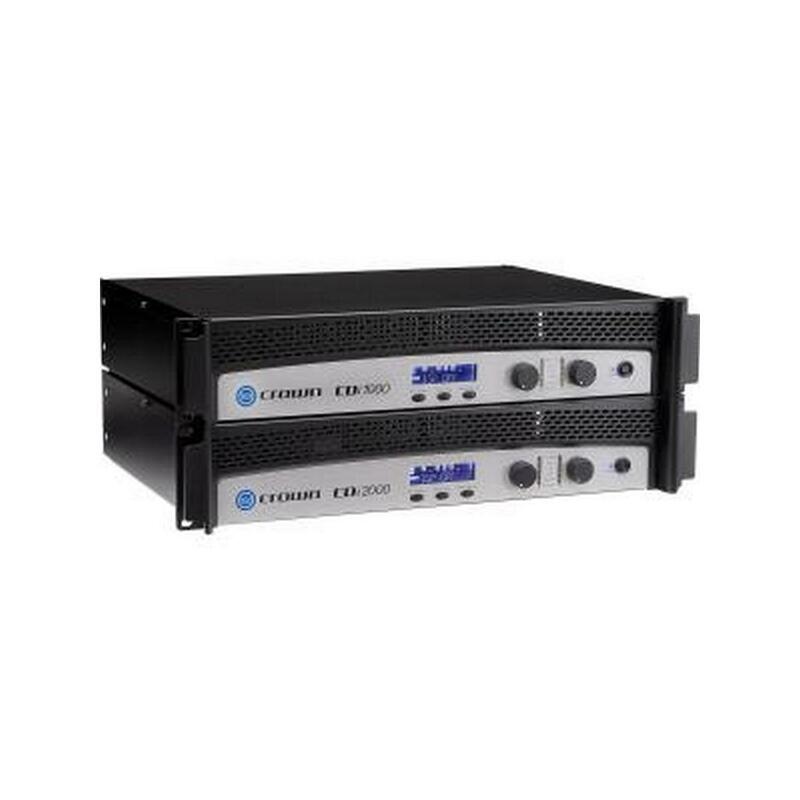 Engineered from the ground up for unmatched quality and performance, the Crown® DSi Series of power amplifiers offers three models of 500W, 800W, and 1200W per channel at 4 ohms. Onboard digital signal processing includes crossovers, EQ filters, delay and output limiting. 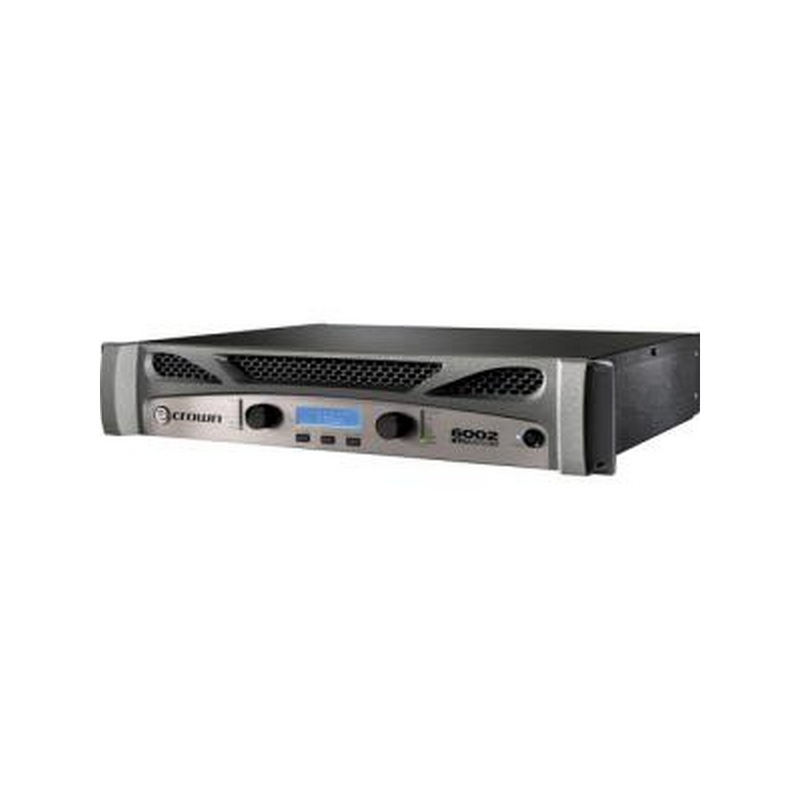 Rear panel HD-15 connector provides easy input/output connectivity between DSi amplifiers and the new DSi-8M System Monitor. The intuitive front panel LCD screen guides installers through a setup process—featuring presets for the industry-standard JBL cinema loudspeaker systems—to make configuration quick and easy. At the touch of a button, Crown’s DSi cinema amplifiers deliver perfectly matched performance with each award-winning JBL ScreenArray® system, making this the ultimate cinema solution. 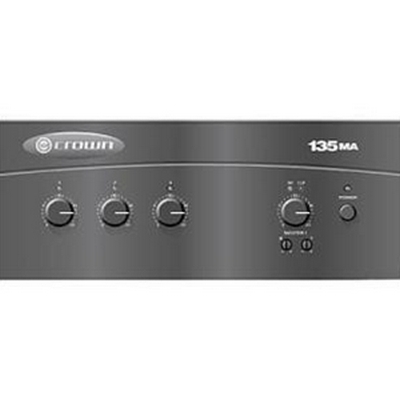 The 180MA mixer/amplifier from Crown Audio offers terrific sound quality and reliability, ideal for paging and background music in offices, schools, hospitals, retail stores, and other similar venues. It is an 80W unit designed for single-zone systems, and offers 4 ohm, 70 volt, and 100 volt outputs to meet your needs. It also features protection circuitry to prevent against damage from overheating, overloads, or short circuits. 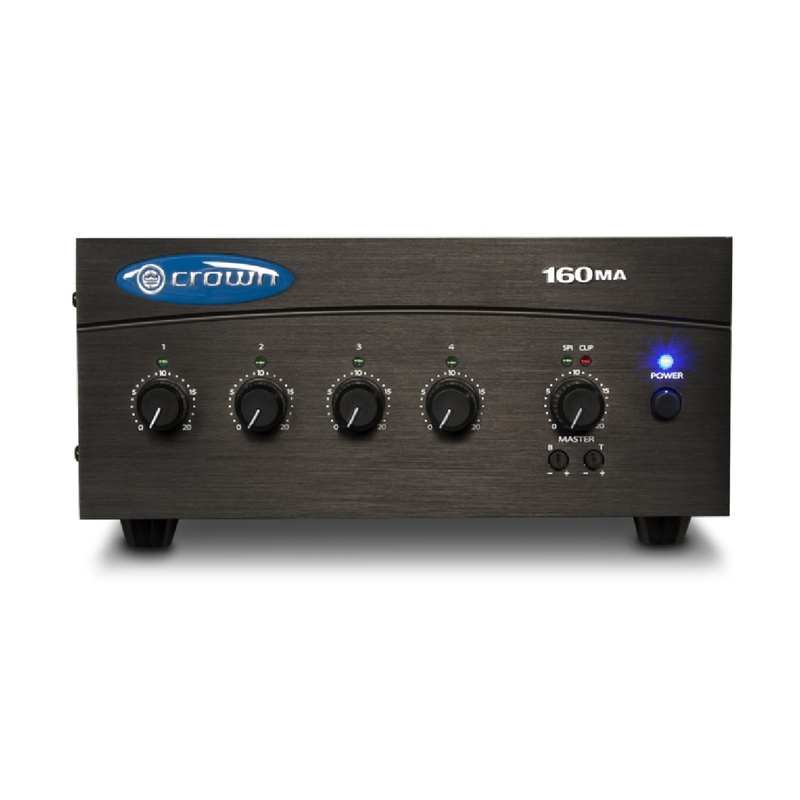 The Crown 180A, 280A, and 1160A are high-value amplifiers for commercial and industrial audio. 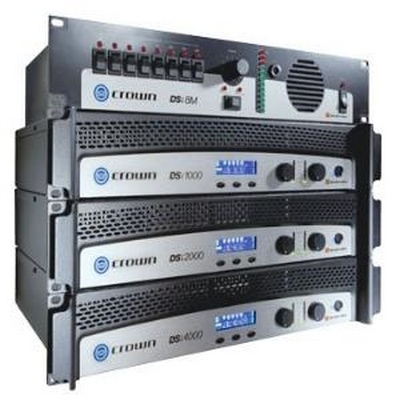 They provide 4-ohm and constant-voltage outputs (70V and 100V). 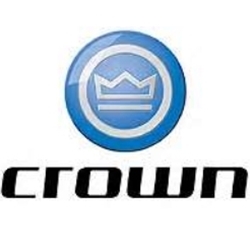 The amps are part of Crown’s Commercial Audio Series, which also includes mixers and mixer-amps. 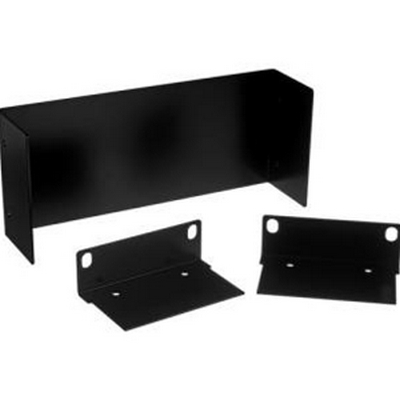 These low-cost units provide all necessary features in a simple building-block format. The sound system can be upgraded as a facility expands. For example, you can add more mixers for more inputs, or add more power amps (or mixer-amps) to handle more zones. 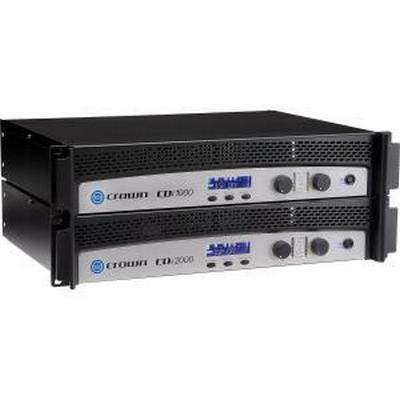 The 280A from Crown Audio is a 2-channel, 2 x 80W amplifier designed for commercial and industrial audio, and is part of Crown's Commercial Audio Series of products. 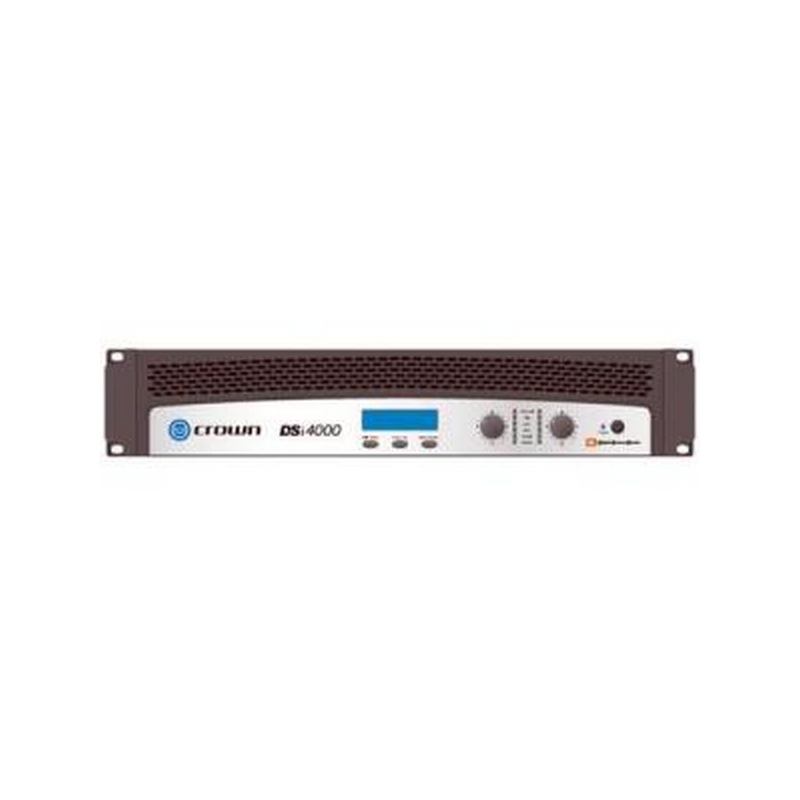 This amplifier is suitable for use in schools, hospitals, offices, prisons, retail spaces, and other similar venues for applications such as background music and announcements. It features balanced phoenix-type inputs and touch-proof screw-terminal speaker outputs. It also has a protection system for output current limiting and DC and thermal protection. Protection system includes output current limiting and DC and thermal protection. 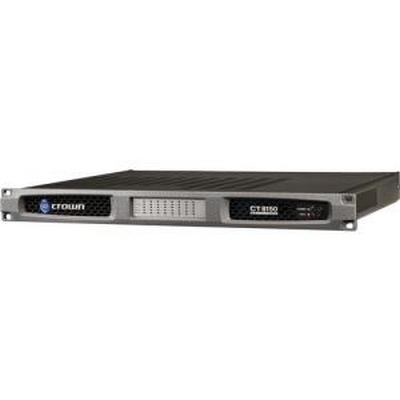 The CT8150, part of the ComTech DriveCore series from Crown Audio, is an 8-channel power amplifier that offers professional audio quality in a slim design. 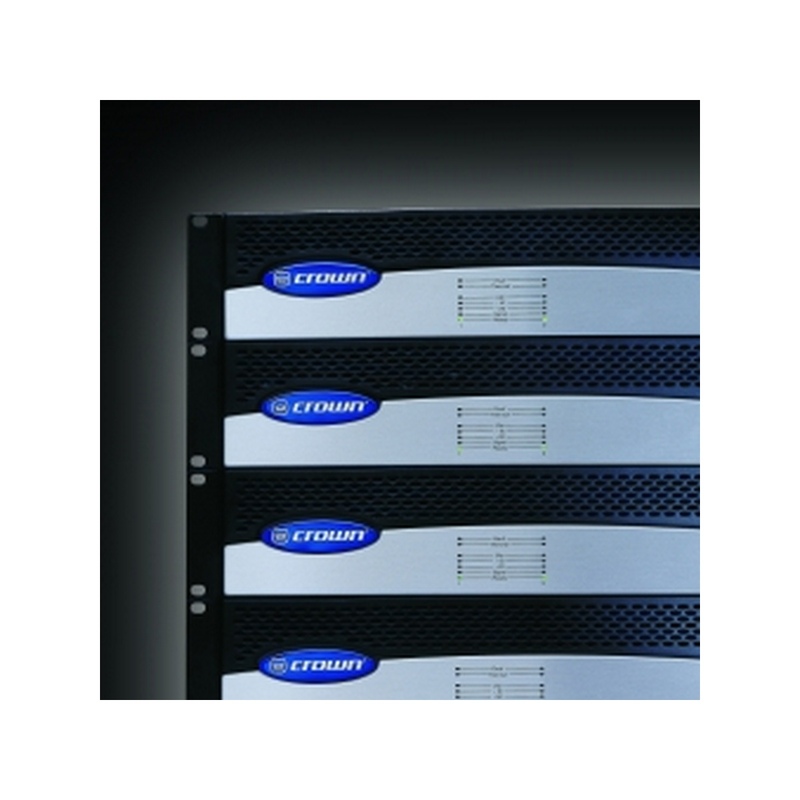 The amplifier has a 1RU chassis, allowing you to install it in any standard equipment rack. 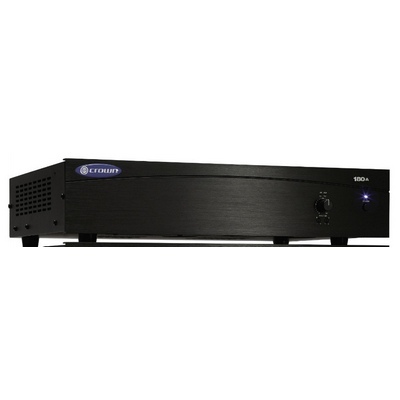 It provides 150W per channel into 8 ohms for strong, clear audio with low distortion. 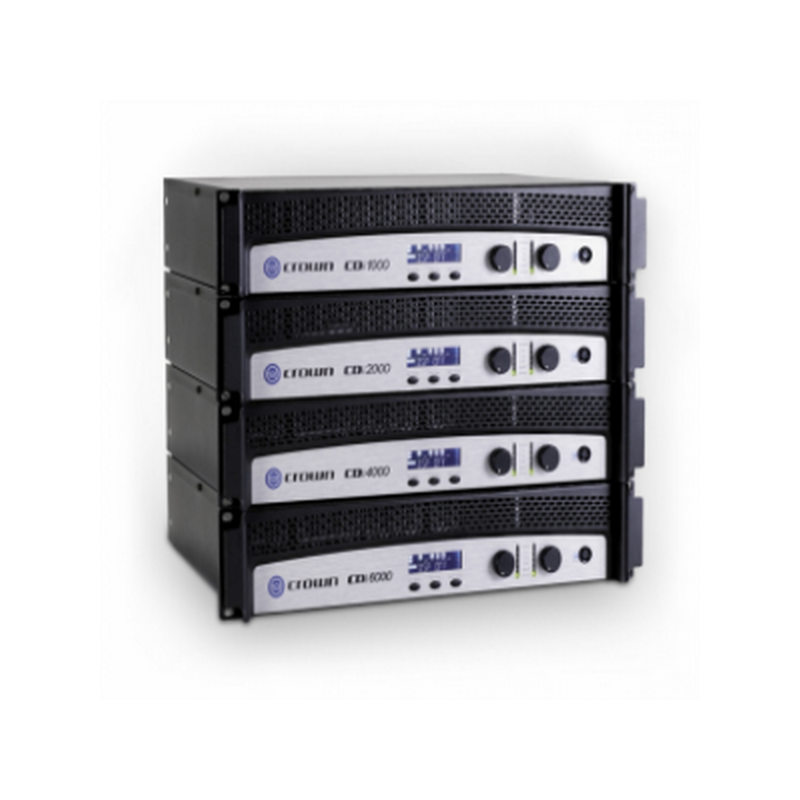 DriveCore technology provides excellent efficiency of over 90% for a fantastic performance to power ratio. It does not require a cooling fan, providing silent operation. 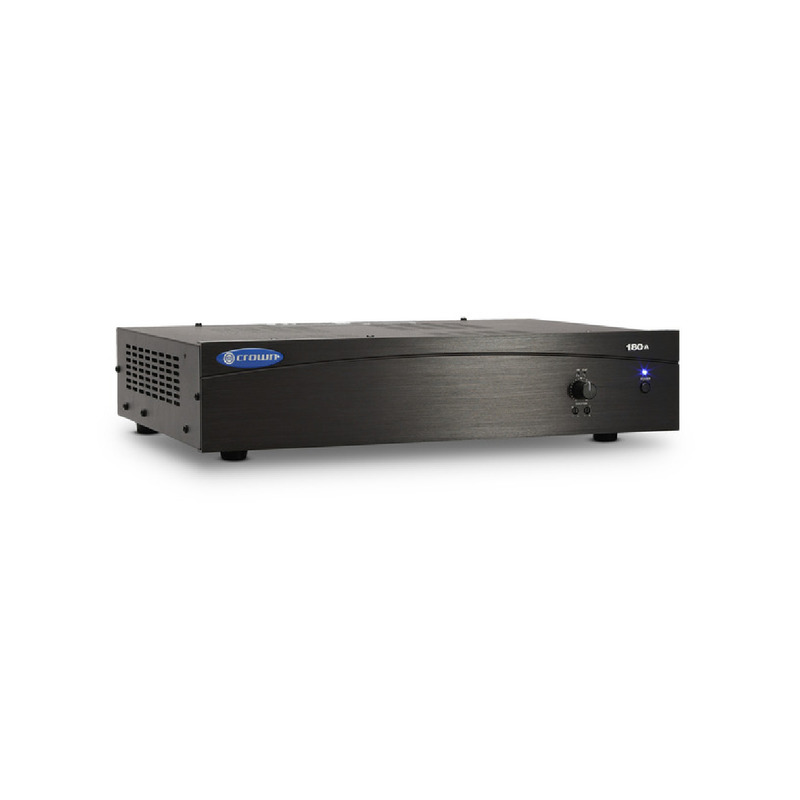 The amplifier offers flexible input routing, allowing you to send an input signal to any of the 4 outputs. Integrated Life-Safety features and patented feedback and protection circuitry protect the amplifier from damage to ensure a lifetime of reliable operation. 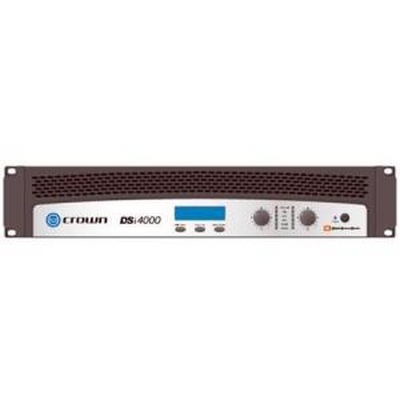 A universal power supply lets you use the amplifier internationally, ideal for touring applications. The XLS 1000 from Crown Audio is a professional-quality stereo power amplifier that offers terrific versatility and audio quality in an affordable and lightweight rackmount design. 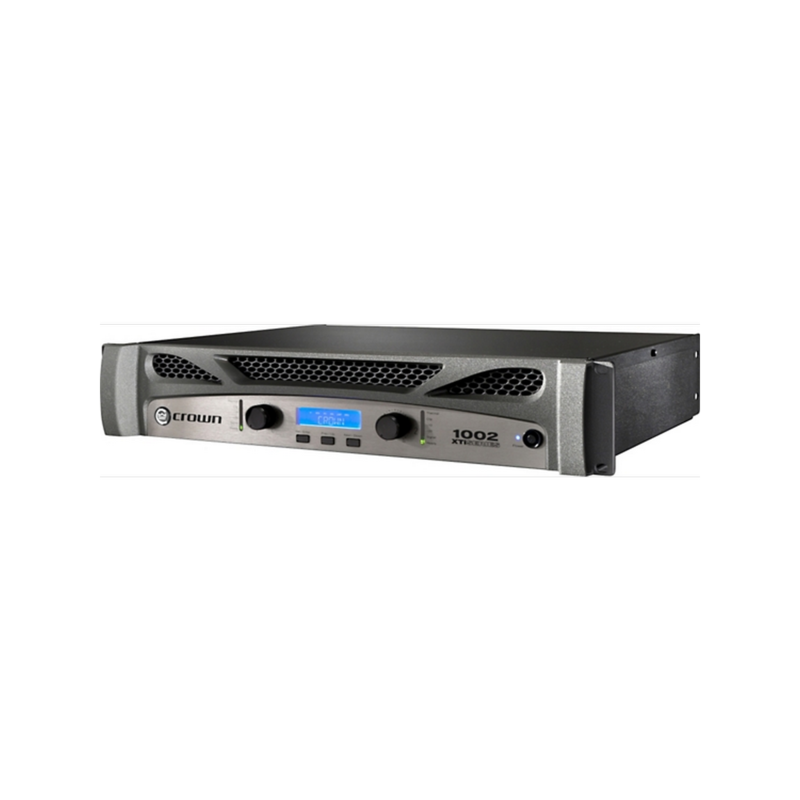 The amplifier uses DriveCore technology, a proprietary hybrid analog-digital integrated circuit that drives the internal Class-D electronics. 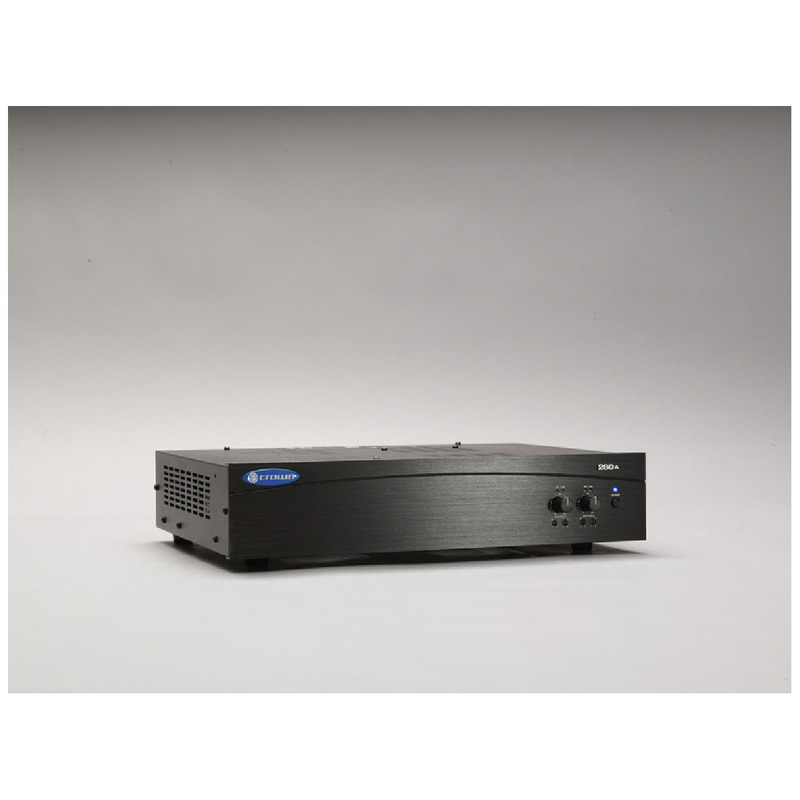 This technology allows the amplifier to consistently provide great audio, regardless of unstable AC lines, fluctuating power, and other power issues. 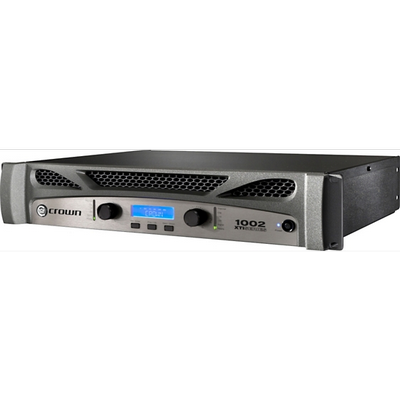 The Crown XTi 1002 Power Amplifier delivers up to 275W per channel at 8 ohms and is an ideal solution for sound reinforcement, nightclub installation, bands, theaters, DJ applications and much more. The XTi 1002 offers highly accurate sound reproduction with very low distortion, perfect for music or voice playback. It has a switch-mode universal power supply so it can be used anywhere. It handles a wide range of speaker impedances and outputs for a high degree of system compatibility. 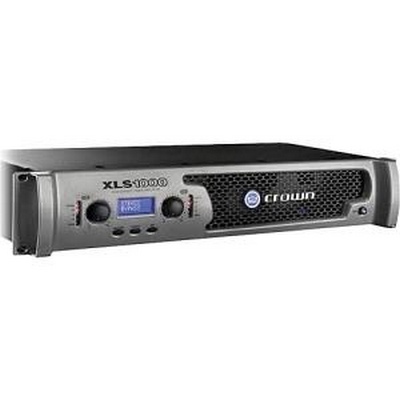 The Crown XTi 2002 Power Amplifier delivers up to 475W per channel at 8 ohms and is an ideal solution for sound reinforcement, nightclub installation, bands, theaters, DJ applications and much more. The XTi 2002 offers highly accurate sound reproduction with very low distortion, perfect for music or voice playback. It has a switch-mode universal power supply so it can be used anywhere. 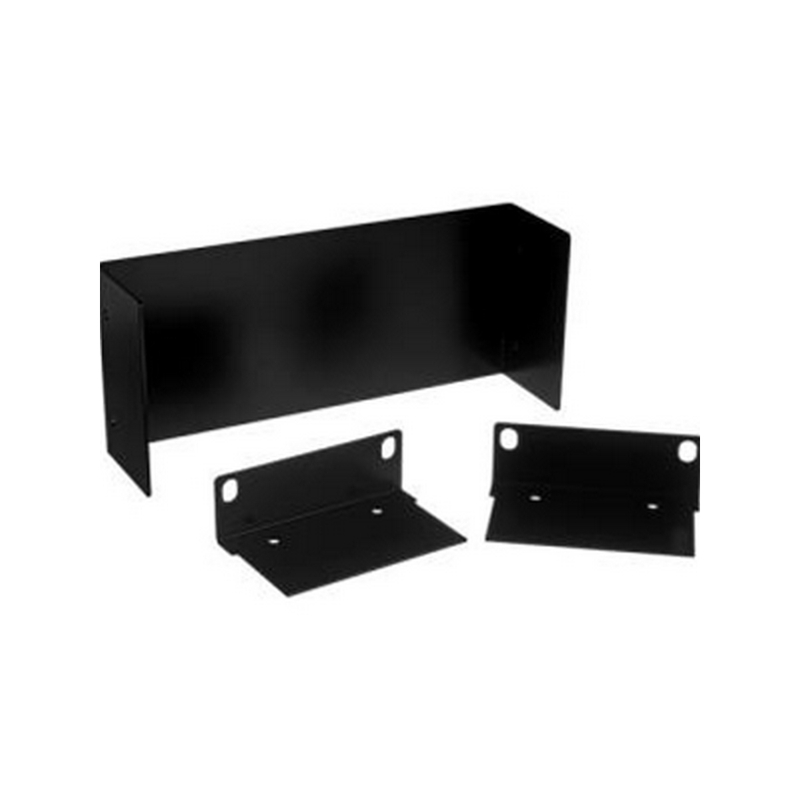 It handles a wide range of speaker impedances and outputs for a high degree of system compatibility. 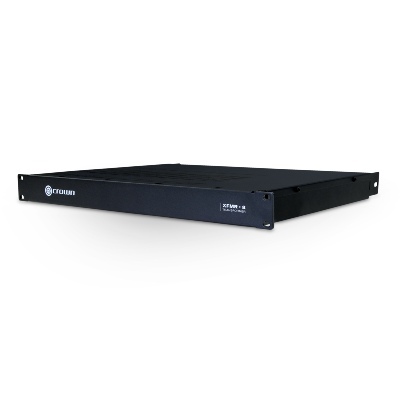 The Crown XTi 6002 Power Amplifier delivers up to 1200W per channel at 8 ohms and is an ideal solution for sound reinforcement, nightclub installation, bands, theaters, DJ applications and much more. 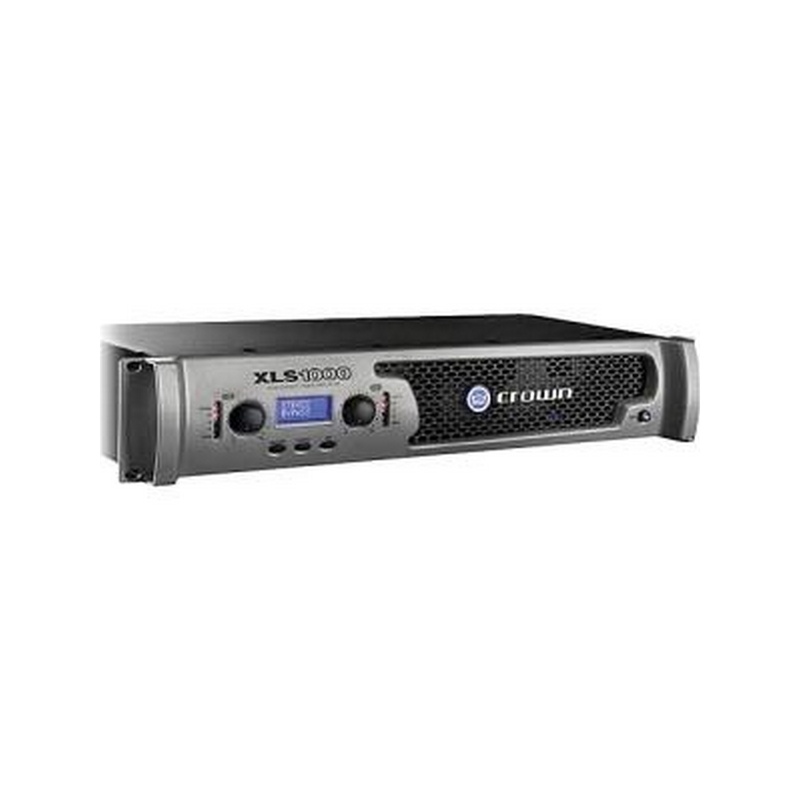 The XTi 6002 offers highly accurate sound reproduction with very low distortion, perfect for music or voice playback. It has a switch-mode universal power supply so it can be used anywhere. 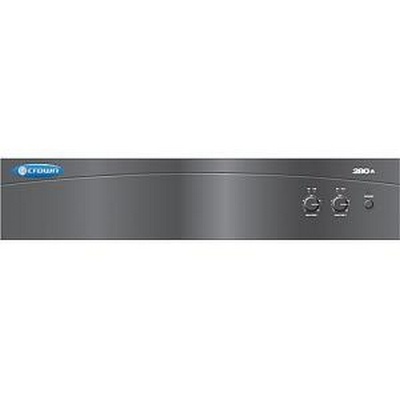 It handles a wide range of speaker impedances and outputs for a high degree of system compatibility. 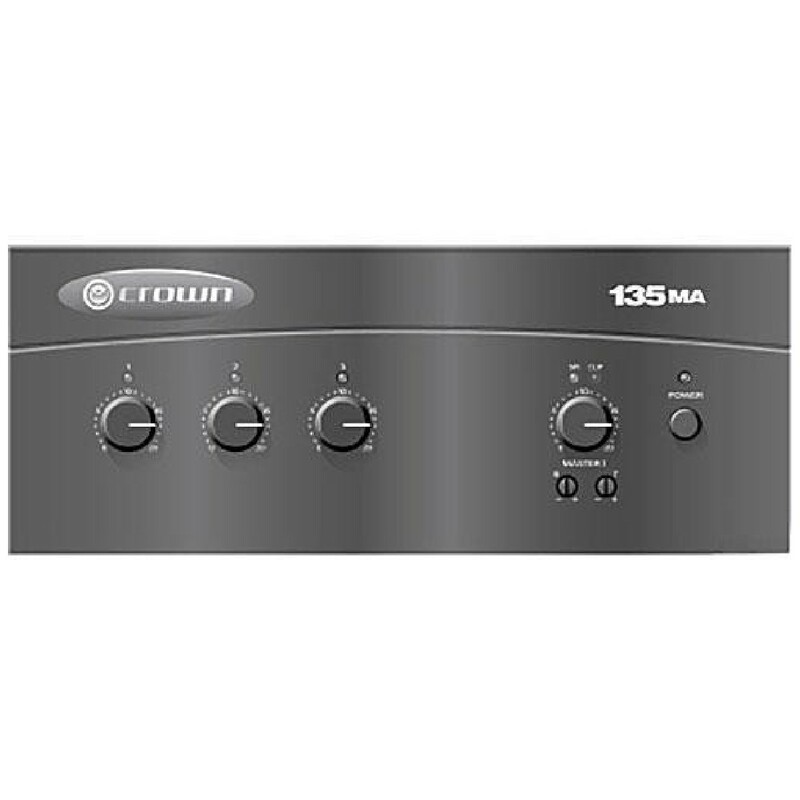 The 135MA from Crown Audio is a professional-quality mixer/amplifier designed for commercial applications, such as paging, background music, and music-on-hold systems. It has 3 inputs, each with a volume control, and a 35W amplifier output. Signals can be input via the balanced Phoenix or stereo RCA inputs. Output can be via 8 Ohm or 70/100V constant voltage outputs. A telephone output is also provided. 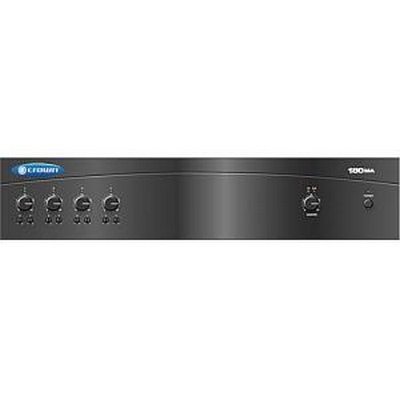 The mixer/amplifier features priority muting, which can be achieved by VOX or an external switch. The master output has a front-panel level control knob, as well as individual bass and treble controls. All of these terrific features are packed into a compact housing with a weight under 10 pounds. The 160MA from Crown Audio is a professional-quality mixer/amplifier designed for commercial applications, such as paging, background music, and music-on-hold systems. 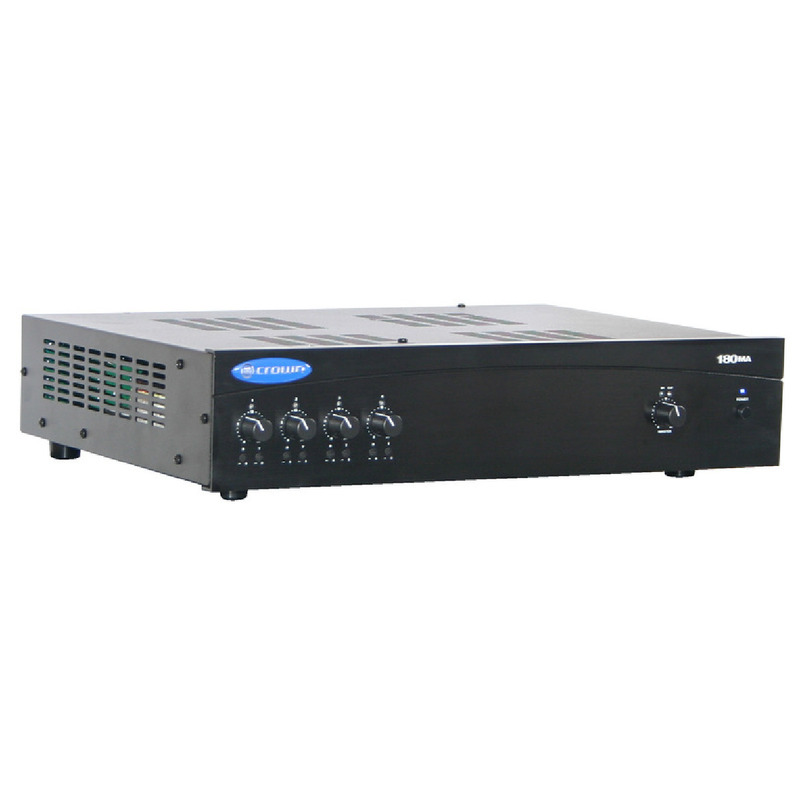 It has 4 inputs, each with a volume control, and a 60W amplifier output. Signals can be input via the balanced Phoenix or stereo RCA inputs. Output can be via 8 Ohm or 70/100V constant voltage outputs. A telephone output is also provided.